Acoustic Energy Aego� Speaker System | Product overview | What Hi-Fi? The Aego has been one of our most successful and well received products since its introduction. The latest Aego� keeps the basic configuration of the Aego but improves the performance further and complements it with cutting edge functionality to make it even more flexible than before. 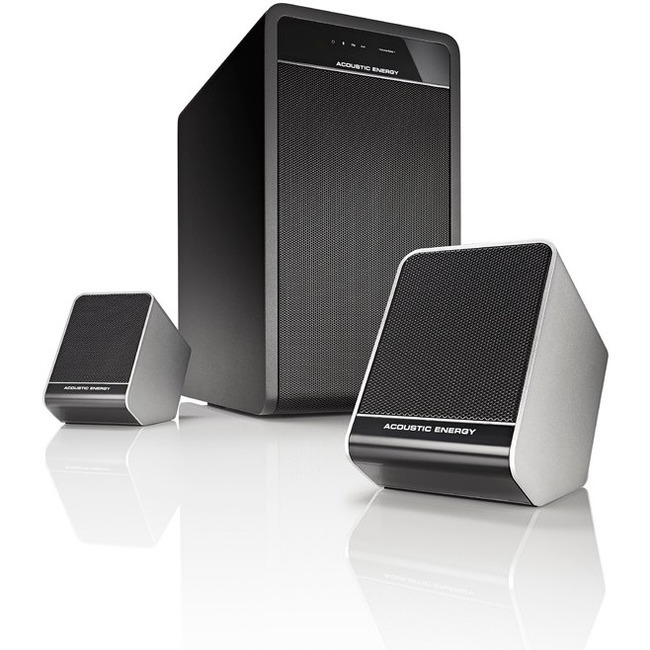 All new aluminium composite satellites give superior frequency response and improved clarity. The 65w RMS Subwoofer and power unit gives the Aego� room filling sound while an all new switch mode power supply gives it the ability to work anywhere in the world while reducing noise levels. To take full advantage of this performance, the Aego� is equipped with an analogue line-in, optical digital and Apt-X capable Bluetooth 4.0 inputs that ensure it is compatible with a huge range of devices. A remote control is supplied for added convenience. The result is a compact and elegant speaker system that provides an exciting and engrossing musical performance with a huge variety of partnering equipment.